I was saddened to learn of the passing of The Honourable Omar Wallace Hodge who served his beloved BVI for over thirty (30) years, six (6) of which he served as Minister for Natural Resources and Labour. On behalf of my family and the staff of the Ministry of Natural Resources & Labour and its Departments, I offer my condolences to Dr. Hodge and his immediate family. The Ministry, and indeed the Territory, mourns with you on the passing of your husband, father and grandfather. We also celebrate with you the life of Hon. Hodge who gave a significant portion of his life in public service to this Territory. Hon. Hodge was a man who did all he could to assist his constituents and indeed the people of the Territory. While he was a politician, he was very passionate about agriculture and in many ways, he was a farmer at heart. It was under his leadership that the greenhouse project was initiated. When I took over as Minister, I promised him that the project would be completed and after sorting through some issues it was well on its way and then Irma happened. Hon. 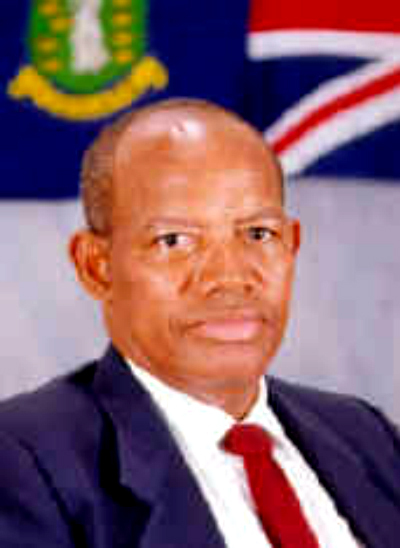 Hodge’s commitment to this Territory and his constituents was manifested in him being re-elected to political office for over thirty (30) years. He was known as ‘the people’s man’ or ‘the man for the people’. Because of the love and respect that everyone had for him and the fact that he was a down-to-earth individual who lend a listening ear to everyone, he attracted a wide circle of friends both locally and abroad. He went to great lengths to assist whenever and wherever he could; though sometimes he tried fitting a square peg into a round hole. If he was unable to solve a problem it could not be said that he did not try. He will be remembered as a well-groomed and dignified person who laughed heartily when given a good joke; never outwardly wore stress on his lapel; a man who loved all people and one who served his country and his people to the best of his ability. A true patriot, a soldier who fought a good fight.